There is a process happening that is going to have universal, planetary, community, local and individual consequences. The process I am speaking of is a necessary shift and a natural process that is taking place whether you are conscious of it or not. It has been called insights, by the author of Celestine Prophecies. Donald Walsch made reference to it in his book Conversations with God, when he wrote �All there is, is God�. Other references you will hear or read about in the near future are, shifts in dimensions or realities from third to fourth dimension, moving from duality to oneness. We had a physical experience of this phenomenon on December 26, 2004 in the Indian Ocean when the Tsunami hit the people of Indonesia. It was Mother Earth�s way of shifting on her axis; an adjustment that is similar to moving the cranial plates in our heads during a Cranial-Sacral treatment. Spiritual Reflexology helps the process by changing the vibratory rate in our body, setting in motion an environment that will increase our vibration. It will change how we feel, think, speak, act, live and be in the world. Traditionally Reflexology focused on the physical symptoms and concerns in the body through the nervous system. Modern Reflexologist have made the leap to understand that Reflexology also addresses the energetic body through the meridian system. A meridian is a pathway through which energy flows. Traditional Chinese Medicine uses this principle in Acupuncture and Acupressure. 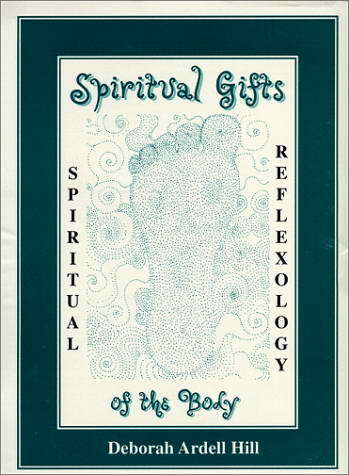 Through my studies I have found that Reflexology can also be used to access the vibratory/spiritual aspect in our bodies, using various functions of the body; nervous system, electro-magnetic system, bio-chemical processes, physical, mental/emotional and energetic functions. No one modality has claimed to address so many areas of our being. Through the use of two aspects of consciousness, attention and intention, all modalities have the ability to address all functions of the body.